Rauch Promotes Disability Awareness Month — Rauch, Inc. In March of each year in recognition of Disability Awareness Month, Rauch offers two activities to fourth grade students in our community. Many schools and teachers have made it an integral part of their curriculum. 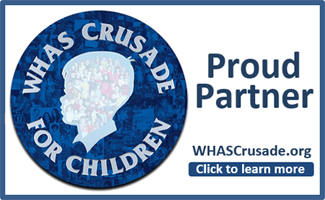 To date over 5,500 4th grade students in Floyd and Clark Counties have participated in this event. Rauch is able to visit classrooms and provide a “Disability Awareness Activity Fair.” This involves a group of Rauch clients and staff visiting a classroom and providing a 30-45 minute program suited to the age of the students, including hands-on activities and, if desired, the showing of a short film. Rauch also offers an essay contest for Disability Awareness Month, which gives children and youth the opportunity to express their thoughts about disability and how attitudes and actions affect people with disabilities. The goal of the essay contest is to teach young adults and children that people with disabilities are the same as everyone else. While there are many types of disabilities, it is important that children of all ages have a general understanding of disabilities and how they should treat people with disabilities. Rauch hopes that these activities can help provide an important opportunity to build these bridges and create common ground among ALL members of our community. If you are interested in learning about how to get your classroom involved in this initiative, please contact Sandy Braunbeck (sbraunbeck@rauchinc.org) or Sheila Jackson (sjackson@rauchinc.org), or click here to download more information.